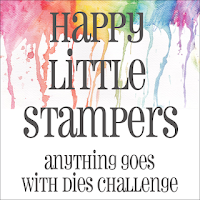 Create With Me: September Papertrey Ink Blog Hop! 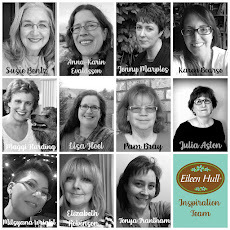 Today I'm playing along with the PapertreyInk Blog Hop. 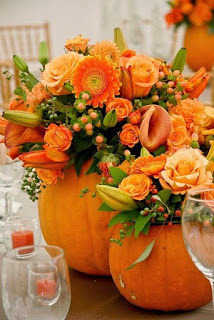 They have a lovely fall table for our inspiration. I, of course, used the Simply Gour-eous stamps and dies and Forest Floor Stamp Set and dies from last month's release as well as older purchases - Shape Shifter Circle 1 and Give Thanks Stamp Set and dies. I die cut the Kraft card base and Text Style Argyle Socks DP (retired) using Noted: Scalloped A2 Vertical Die. I layered the Circle die and most of the die cut images up on foam dots. This is sure getting me in the mood for the lovely fall season coming up soon! I'm off to see how everyone else was inspired by this lovely fall table over at the Papertrey Ink Blog. 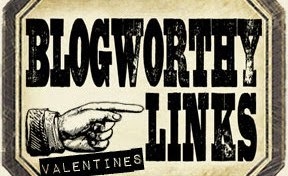 You have until midnight to join in! A bountiful harvest, my friend! Such a perfect card for this time of year! I love the gourds and all of their gorgeousness and your beautiful background. Beautiful card! Lovely take on the photo! Oh wow!! This is so pretty!! I love the gourds and all of your layers!! Beautiful!! 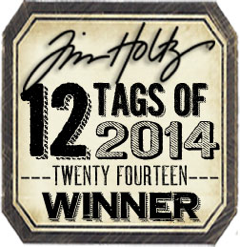 Love the stamping on kraft! The texture and the tones are just stunning, Julia! Wonderful fall card! Oh my goodness, so much layered goodness and beautiful images! Your combination is perfect! fabulous design!! perfect take on the inspiration photo! Well, I'm in love with this, Julia. From the gorgeous rich paper to your just beautiful arrangement, and of course, the LAYERS (my favorite part!). 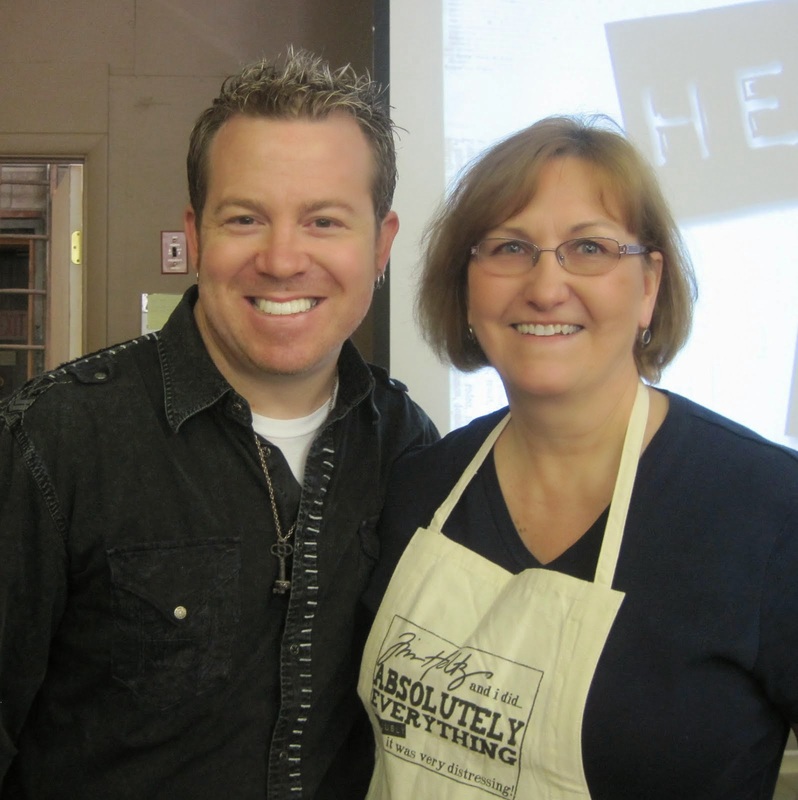 You always inspire! Julia I just love your layering on this card. So very pretty! This is amazing Julia - it's got a really pretty, rustic look. What a great way to use all those PTI products! This is really pretty. 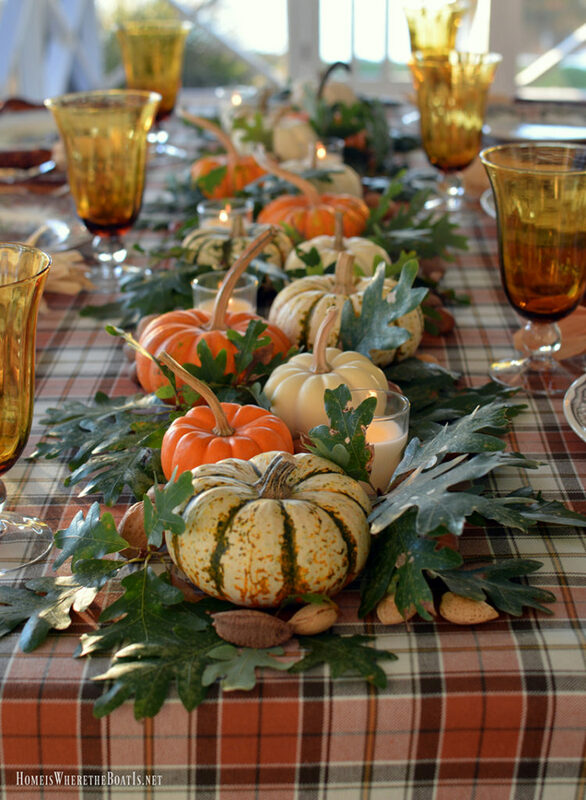 Love how you created sort of a fall wreath as your focal point. Also, it is a fantastic entry for Time Out. Thanks so much for playing along at Time Out. Wow! This is all kinds of awesome... have to admit... wishing I had some of that background paper...lol! Love your design and beautiful images and all of your layers... gorgeous! And thanks so much for stopping by my place! Great combination of the dies, stamps and such a fabulous layout x. What a stunning/beautiful fall card! Love all the layers and colors. 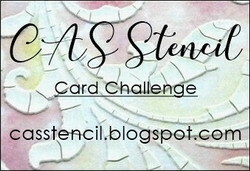 Great take on the PTI blog hop challenge. Julia, I love everything about this!!! This is just so lovely! I love all those amazing elements and the colors. 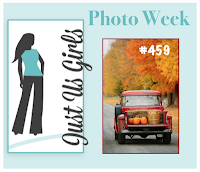 Fantastic job and thanks so much for playing along with us at Just Us Girls this week. 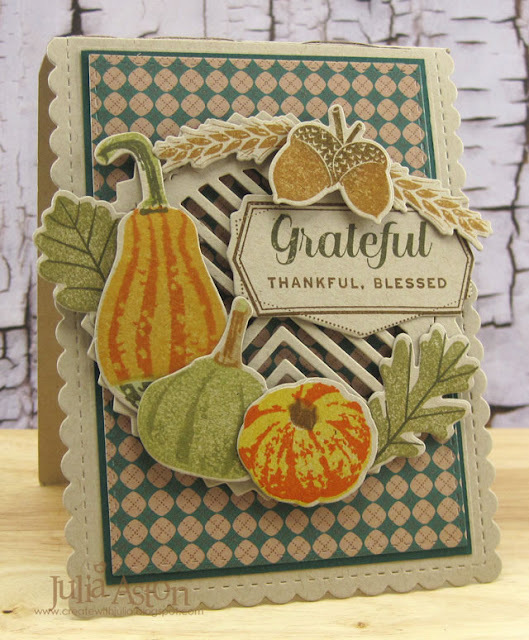 I love the muted tones of your gourd garland - it's a perfectly designed card to celebrate autumn. Super cute card, lovely background. 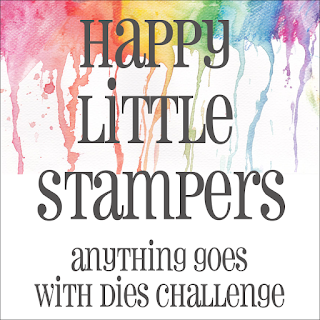 Thankyou for joining us at Happy Little Stampers AG with Dies Challenge this month, we look forward to see more from you in the future too. All the best.